Become an Accounting Technician (AT) and gain a formal qualification that covers accounting and wider business management by enroling in our Bachelor of Contemporary International Studies (BCIS) degree. 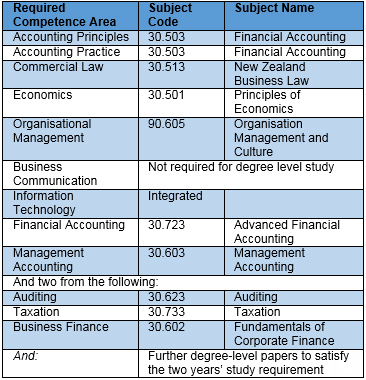 Chartered Accountants ANZ will accept graduate of BCIS who have completed (or been cross credited) a minimum of 240 credits that include the following subject codes and names as having satisfied (the degree equivalent papers) the academic requirements for admission as a Provisional AT member (see table below). Dream, achieve and succeed. Enrol today!